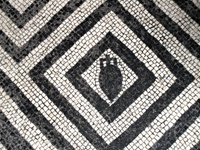 RES ROMANAE was built using the Drupal open-source content management system (version 7.54). It is supported by Digital Humanities at Berkeley (http://digitalhumanities.berkeley.edu/) at the University of California, Berkeley. It was built by Tina Anagnos, with further development by J. Theodore Peña. Essential guidance was provided throughout the design and building processes by Quinn Dombrowski of Berkeley Digital Humanities and Research IT. Users should note that the theme employed for the site's layout does not optimize for hand-held devices and they will obtain the best results if they access it by means of a desktop or laptop computer. The site's content will be permanently archived through the California Digital Library (http://www.cdlib.org/).